Fiber can influence many aspects of health. From gut bacteria to weight loss, it is often considered a fundamental part of a healthy diet. Most people have a very basic understanding of fiber, and tend to lump it all into one category. However, the truth is that not all fiber is created equal. Some types are highly beneficial, while others can cause digestive problems in some people. This article explains everything you need to know about the different types of fiber. What is Fiber and How is it Classified? “Fiber” refers to a diverse group of carbohydrates that humans can not digest. We lack the digestive enzymes required to break them down, so they pass through most of the digestive system unchanged. The recommended intake is 38 grams for men, and 25 grams for women. However, most people are only eating around half of that, or 15-17 grams per day (1, 2). Fiber is mostly found in plant foods, including vegetables, fruits, legumes, whole grains, nuts and seeds (for more details, here is a list of 22 high-fiber foods). There is actually a huge variety of different fibers found in foods. The problem is that they are often classified in different ways, which can be highly confusing. 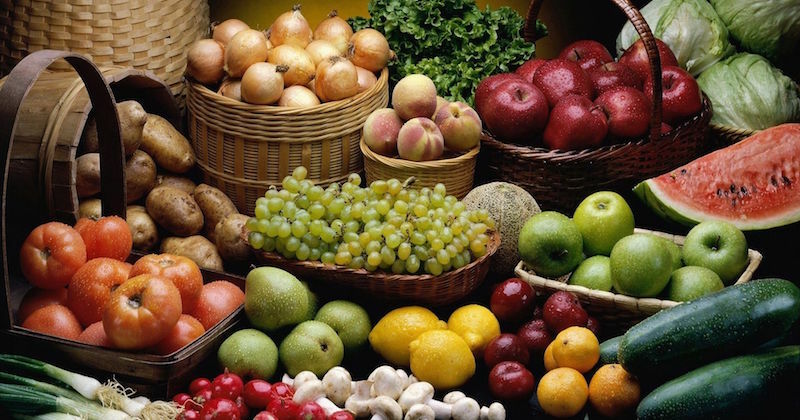 Dietary fiber: Fiber found naturally in foods. Functional fiber: Fiber that is extracted and isolated from whole foods, then added to processed foods. However, there is a major problem with classifying fiber in this way. It tells us absolutely nothing about their health effects. A popular alternative method is to classify fiber based on its solubility (soluble vs insoluble), viscosity (viscous vs non-viscous) and fermentability (fermentable vs non-fermentable). 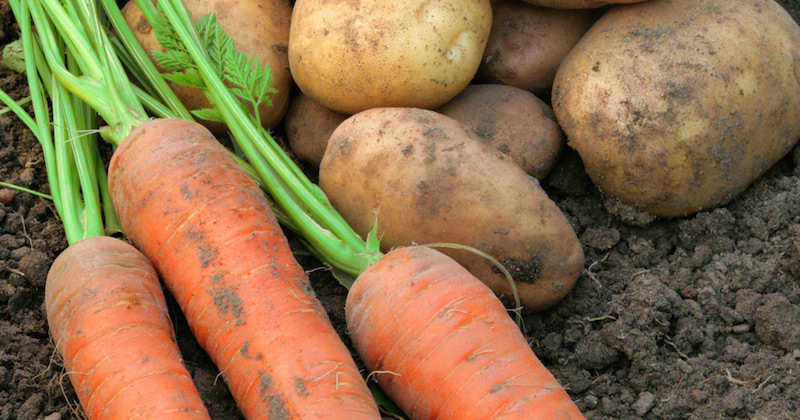 Then there is yet another class of nutrients called resistant starches, which are often classified as dietary fibers. Bottom Line: Fibers are indigestible carbohydrates found naturally in plant foods. They are often classified as either dietary (found naturally) or functional (added to foods). Soluble fiber blends with water in the gut, forming a gel-like substance. It can reduce blood sugar spikes, and has various metabolic health benefits (4). Insoluble fiber does not blend with the water and passes through the digestive system mostly intact. It functions mostly as a “bulking” agent, and may help speed the passage of food and waste through your gut (5). Soluble fibers include gums, pectins, psyllium, beta-glucans and others. Insoluble fibers include lignin and cellulose. Different plant foods have varying proportions of soluble and insoluble fibers. Bottom Line: Fiber is often categorized based on its ability to dissolve in water. Soluble fiber has various benefits for metabolic health, while insoluble fiber functions mostly as a bulking agent. An estimated 100 trillion live bacteria reside in the human gut, mainly in the large intestine (6). These bacteria are actually crucial for optimal health in humans. They play various roles related to weight management, blood sugar control, immunity, brain function and mental health (7, 8, 9, 10, 11, 12). They are so important that they are often referred to as the “forgotten organ” (13). Because humans can’t digest fiber, it ends up reaching the large intestine mostly unchanged. This is where fermentable fiber comes into play. These are fibers that the friendly gut bacteria are able to digest (ferment) and use as fuel (14). This increases the number and balance of friendly gut bacteria, which also produce short-chain fatty acids with powerful health benefits (15). Most fermentable fibers are soluble, but there are also some insoluble fibers that can function in this way. Fermentable fibers include pectins, beta-glucans, guar gum, inulin and oligofructose. 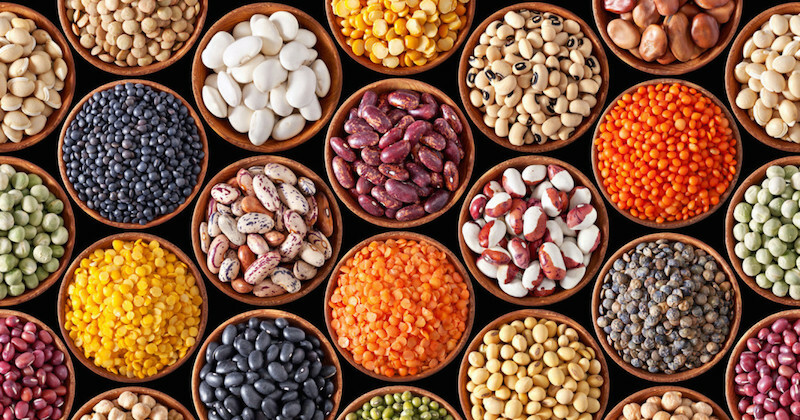 The best whole-food sources of fermentable fibers are beans and legumes. A 1-cup serving often provides up to half of the recommended daily intake of fiber. All that being said, one of the by-products of fiber fermentation is gas. This is why foods high in fermentable fiber can cause flatulence and stomach discomfort, especially if people are not used to eating a lot of fiber. Bottom Line: Fermentable fiber is digested and used as fuel by the friendly bacteria in the gut. This can lead to various beneficial effects on health. Some types of soluble fibers form a thick gel when they blend with water. These are known as viscous fibers. Put simply, the viscosity of a fluid refers to its “thickness.” For example, honey is more viscous than water. When you eat viscous fiber, it forms a gel-like substance that “sits” in the gut. This slows down the digestion and absorption of nutrients, resulting in a prolonged feeling of fullness and reduced appetite (16, 17, 18). A review of 44 studies on fiber treatments found that only viscous fibers reduced food intake and caused weight loss (19). Viscous fibers include glucomannan, beta-glucans, pectins, guar gum and psyllium. Good whole-food sources include legumes, asparagus, Brussels sprouts, oats and flax seeds. Bottom Line: Viscous fibers form a gel-like substance that sits in the gut, leading to enhanced feelings of fullness, reduced appetite and weight loss. Starches are the main types of carbohydrates in the diet. They are long chains of glucose molecules, found in potatoes, grains and many other foods. Some starch is actually resistant to digestion, so that it passes through the digestive system unchanged. This type of starch is called resistant starch, and it functions like soluble, fermentable fiber in the gut (20). Resistant starch has numerous powerful health benefits. It improves digestive health, enhances insulin sensitivity, lowers blood sugar levels and significantly reduces appetite (21, 22, 23, 24, 25). There are several good food sources of resistant starch, including green bananas, various legumes, cashews and raw oats. A more detailed list can be found here. Additionally, certain starchy foods tend to form large amounts of resistant starch if they are cooled down after cooking. This includes white potatoes and white rice. Raw potato starch is also very high in resistant starch, and some people eat it as a supplement. Bottom Line: Resistant starch is a type of starch that escapes digestion. It functions like soluble, fermentable fiber, and has numerous health benefits. Several fibers have specific health implications, and are worthy of highlighting. A fructan is the term used to describe a small chain of fructose molecules. Oligofructose and inulin are the two main fructan varieties in the diet. They can feed the friendly bacteria in the gut, and have been shown to help treat certain types of diarrhea (26). However, fructans are also classified as FODMAPs, types of carbohydrates known to cause digestive issues in many people (27). In fact, fructans and other FODMAPs trigger adverse symptoms in 3 out of 4 people with irritable bowel syndrome, a common digestive disorder (28). The biggest source of fructans in the modern diet is wheat (29). 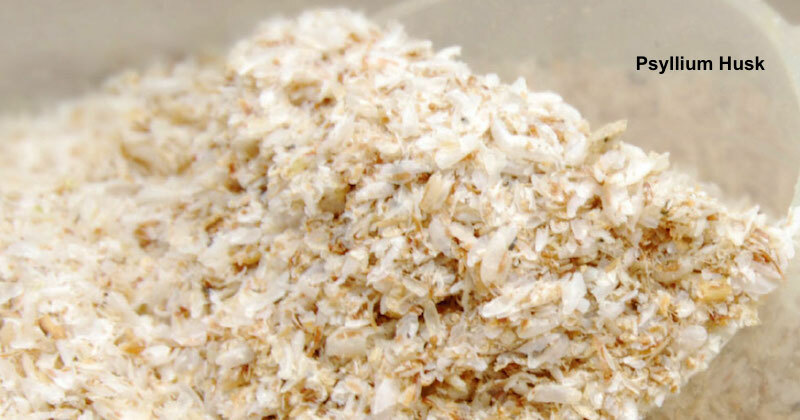 The health benefits of beta-glucans have been extensively documented. These fibers have a specific molecular structure that makes them highly viscous in the gut. Beta-glucans can improve insulin sensitivity and lower blood sugar levels. They can also significantly reduce cholesterol levels and increase feelings of fullness (30). The main food sources of beta-glucans are oats and barley. Glucomannan is a viscous fiber that is commonly marketed as a weight loss supplement. Numerous studies have shown that glucomannan can cause modest weight loss, fight constipation and improve risk factors for heart disease (31, 32, 33, 34). Bottom Line: Fructans are fibers that can cause adverse digestive symptoms in some people. Beta-glucans and glucomannan are soluble, viscous fibers with potent health benefits. Fibers that are soluble, viscous and fermentable seem to be the healthiest, by far. Resistant starches are also incredibly healthy. Good sources of healthy fibers include vegetables, fruits, oats, legumes, nuts, dark chocolate, avocados, chia seeds and various other foods. However, there is probably no need to obsess over the details here. As long as you are eating plenty of whole plant foods, then your fiber intake should take care of itself. This article was originally published in AuthorityNutrition.com. It is republished here with permission.